Knit koozies have become quite popular in Houston in the last few months. After seeing some quite boring koozies at various local hotspots, I decided I should come up with some jazzier varieties. Since then I’ve made koozies with cables, lace, camo, school logos, and super hero logos. I’ve already posted the pattern for my most popular koozie, Batman. 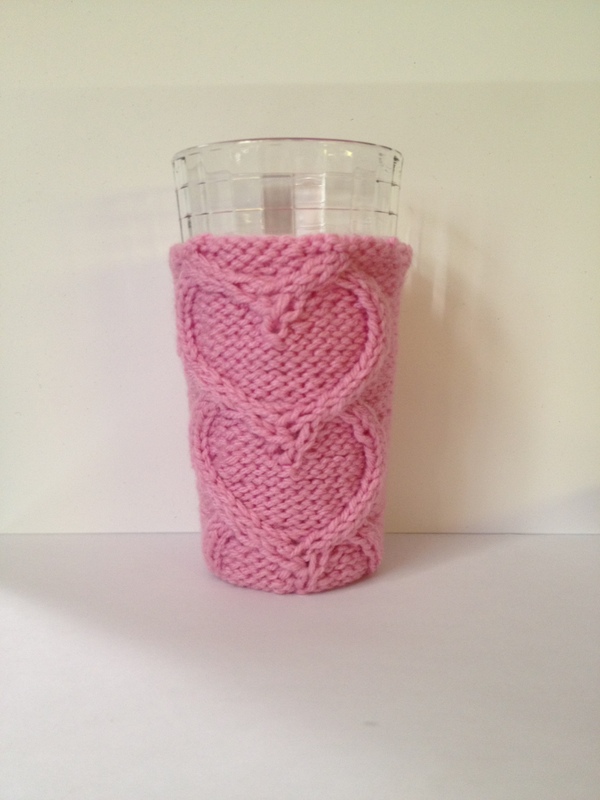 The koozie that was most fun to knit had an interlocking heart cable. I included the pattern below. The heart cable is challenging. This is a quick project. I carry one around in my purse to put on my glass when I go places. I think someone has asked me about it every time I’ve used it. All of the stitches are basic except for I2 (see below). 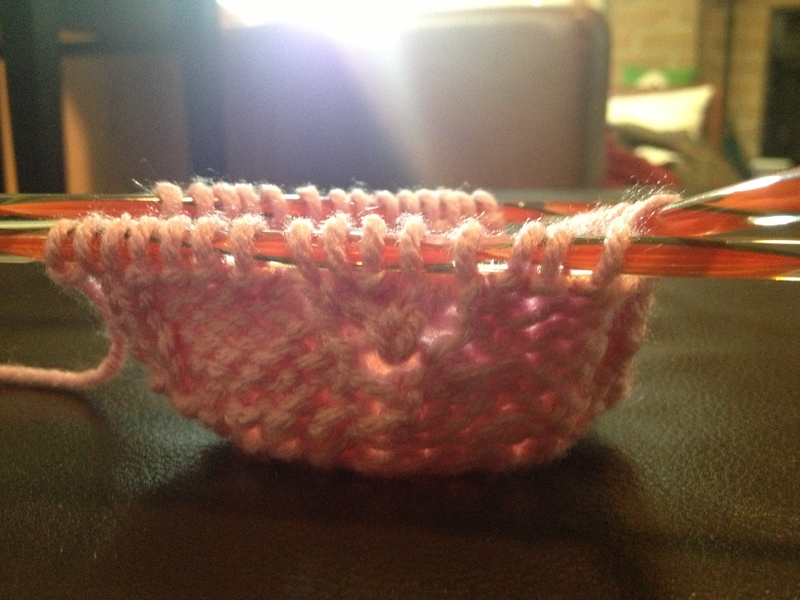 I tried to add links to anything besides a basic knit or purl. I2 Stitch: Increase 2 stitches by working (Knit 1 Through Back Loop (K1 tbl), Knit (K) 1) insert left needle behind the vertical strand running downwards between the 2 stitches just worked and work this strand K1 tbl. Please leave me a comment if you need more details on this stitch.